Knowing that many will be left out, parents and children nervously await the executive orders the president will reveal Thursday evening. Greisa Martinez is too nervous to call her mother. She’s waiting until she knows whether the executive action President Obama will announce Thursday in a primetime address will give her mother a reprieve from the fear that at any time she could be arrested, separated from her family and deported. Rumors of who will be included in Obama’s orders and who will be left out spread through the media this week. Some are contradictory, heightening the tension as millions of undocumented residents and their families await the announcement. The New York Times, for example, reported in its Thursday edition that farm workers would not receive special protection. But the president of the United Farmworker Union said that he’d been told at a White House meeting on Wednesday that Obama planned to include at least a quarter of a million agricultural laborers. Obama is also expected to eliminate the age limit for the Deferred Action for Childhood Arrivals (DACA) program, which Martinez is protected by. (She’s also an organizer with United We Dream, a youth-led immigrant-rights organization.) 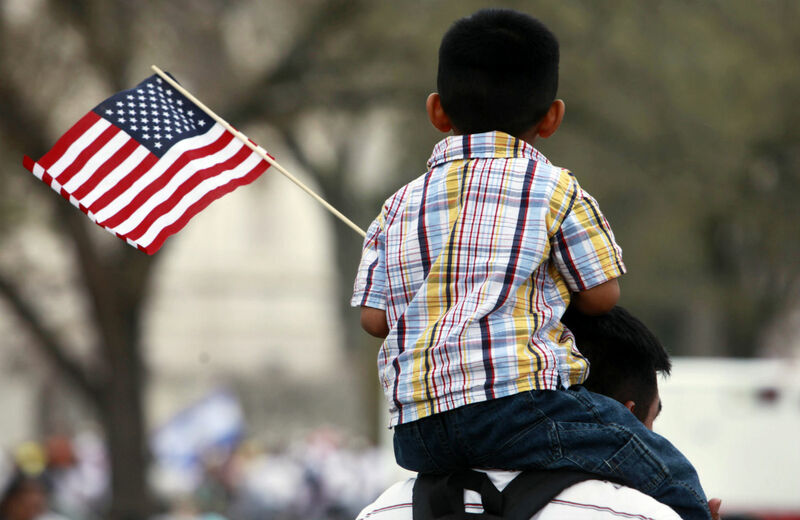 But the fate of parents whose children are eligible for DACA but are not citizens is unclear. The Times and other outlets reported Thursday that these immigrants would not be given the chance to remain in the United States and work legally. Another question is what will happen to people who do meet the criteria the White House sets for relief but are already entangled in the deportation machinery—people like Sandra Jacinto. She lives in New Jersey and cleans houses to support her family. Jacinto immigrated to the United States from Guatemala in 2005, leaving two children behind. They were separated for nine years until she was able to pay someone to help them travel through Mexico and across the US border. Jacinto’s youngest daughter is a US citizen, meaning Jacinto might be eligible for relief. But two months ago, immigration agents showed up at her house and informed her of an order of deportation. That mark on her record might end up being the only thing that matters. On Wednesday, immigrants in New Orleans who were put into deportation proceedings after being swept up in the “stop and frisk” style raids conducted by the region’s ICE field office delivered requests for immediate relief to a US Citizenship & Immigration Service office. “Even though President Obama says he’ll soon be making an announcement, ICE has told us that we must leave the country by the end of the year,” Gustavo Bonilla, a carpenter who has lived in New Orleans since 2000, said in a statement. He has two sons who are US citizens, but like Sandra Jacinto, he is not sure whether Obama’s action will stop his pending deportation. “We obviously would hope that being a victim of policies the president has said need to be made more humane isn’t a reason for exclusion,” said B. Loewe, communications director for the National Day Laborers Organizing Network. There are 11 million people waiting for relief from a broken immigration system. Until the White House lays out its plan, the vastness of that hope is the only certainty.